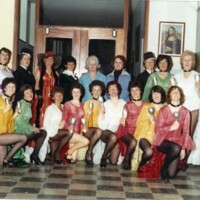 A photo of Maura Corr with her Jazz Dance Troupe. 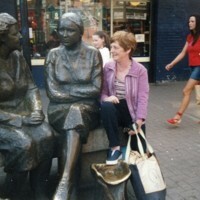 A photo of Maura Corr beside Dublin's famous statue 'The Hags with the Bags' by The Ha'penny Bridge. 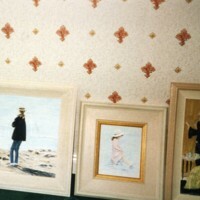 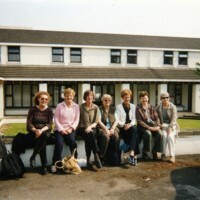 A photo of Maura Corr with female friends sitting on a wall. 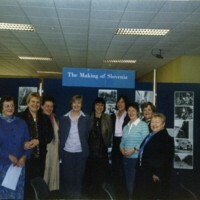 A photo of Maura Corr and friends at a library event called 'The Making of Slovenia'.